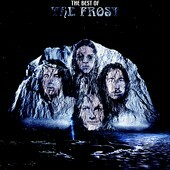 A live best-of record of the Detroit rockers The Frost, who were around from 68-70, this record finds the slightly garage, wide-open classic rock band wailing out sweaty, ferocious guitar-rock that went on to influence those lucky enough to have heard of the band. The songs find you singing along, the energy is too unreal to not pick up on, and the live abilities of the band shine through. I'll give it a B.